So I found on Twitter that Andrew Hammond (@ahammTNT) interviewed Oliver Luck and that Luck said,"the league's broadcast agreements will be announced in the coming weeks and that they are very close to signing that." He also noted that Luck said the league is focused on "traditional and linear television"
Again, I'm not sure we can read too much into this but note the word "agreements". This isn't the first time we've seen the XFL hint at multiple TV deals. If the XFL can get Fox AND NBC, then it will be well on it's way. Also on a post on January 11th where the XFL says "RT if you love football as much as we do!" In the comments someone asks the XFL when they're announcing team names. 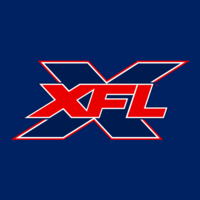 The XFL (@xfl2020) replies;"We're a few months away. Stay tuned!" I've also seen them say "soon", and "In the 1st quarter" but it seems that team names may come later rather than sooner. So overall I think that the TV deals will come first, then the team names. What are your thoughts? As I wrote about in my latest article on the main page of the site. The cities were revealed later than anticipated. It actually took the league nearly 11 months to reveal city names after The XFL was announced as returning last January. After Luck got hired in the summer. The word was that cities would be revealed in the fall and technically they were but instead of September or October, the announcement came in December. So this rights deal might not be announced as quickly as some hope it would. Technically the first quarter of this year is 3 months. January through March. Probably the best time to announce a deal from an attention standpoint is during Super Bowl week. The sooner the deal is announced the better because it will be the biggest tool in stamping the XFL as a reality, it will be the momentum builder in luring top football personnel, fans and advertisers. As for the potential of the deal. Luck’s comments in radio interviews has amped up the expectations a bit. Any solid exposure will be the life blood of the league. If dual networks are really involved, then the league has a real chance to be a success. Another sign towards 2 networks? Either way, they need a TV deal that is at least the same as the AAF or better. Otherwise the AAF would get an upper hand in the public's eye when it comes to that category. I agree. Considering that it’s going to cost hundreds of millions of dollars in expenses to start and operate an entire season. The TV contract is essential for a league’s survival. “We’re in the process right now—really halfway through of putting team colors, a team name and logos together right now." So now we know the XFL is "really halfway" through the team names and logos. On December 1st the league's 8 cities were leaked, so let's assume they started branding then. That was 48 days ago. So 48 days from now is Thursday, March 7th. So we can assume that around March is when the team names will be announced. Until then, we'll have to speculate some more! Judging by this. No fan vote will be taking place. It’s possible that the league rolls out all 8 team names at once. Their marketing and branding teams have been working on this since December. You gotta wonder if trademarked names start to leak out eventually. There have been some people online who claim that names like Roughnecks, Steelheads and Posse have already been locked down for Houston, Seattle and Dallas. Nothing concrete or confirmed on that. Remember that the XFL cities leaked before they were officially released, and the leaks were right. Then again those leaks came out a week before the release of the cities, not weeks before. Who knows? Maybe those names end up being used. We'll have to wait and see though. Take this for what’s it worth, a Reddit User named CCPaine, posted that he has a friend who works in trademark law and that The XFL trademarked a couple of different names for each city. Couple of things in that Herald interview with Oliver Luck. Thanks XFL fan. Luck said that the league is 3 weeks away from announcing the tv deal. It sounds like super bowl week is a possibility. Luck also hinted at the usual blue and green color scheme for The XFL’s Seattle franchise. That color scheme would fit with Steelheads or Orcas, if in fact those are the potential names. Names could be better, but they have to get these names right. These names would suffice, but I hope they're a bit better than those. If the league has a combo of these names it could be very hard to sell since the AAF would have better names.